Austria is a country with incredibly rich history, magnificent architecture and a whole range of must-visit places. Austria is considered to be the European Winter Sports capital but it is actually lovely there all year long. Here are 10 most popular travel attractions in Austria you should take a look at. This monastery is one of the most famous in the world. Before being given to the monks, it used to be a castle of Leopold II. It is one of the greatest examples of Baroque architecture and it leaves a lasting impression on every tourist. Situated high on the hill, it overlooks the Danube river and offers a splendid view on the town of Melk. The official residence of the President of Austria, the Hofburg Imperial Palace is situated in the centre of Vienna being very convenient to visit. Once it was the principal residence of the Habsburgs, the seat of the Emperor of Austria and the rulers of the Austro-Hungarian Empire. Also located in the very heart of Austrian capital, the Vienna State Opera is a breath-taking architectural masterpiece both inside and outside. 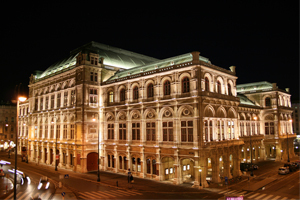 Don’t miss a chance to enjoy one of the world most prominent ballets or operas while you are in Vienna. With both classical and modern versions of many performances there is a vast choice to see. The medieval part of Innsbruck, the capital city of Western Austrian federal state called Tyrol is one of the most popular tourist attractions and not by chance. Surrounded by the beautiful Alpine mountain range, Altstadt is bright and noble, with unique houses that seem absolutely unlike one another. This panoramic road is perfect for nature lovers but chances are everyone will be deeply impressed by the views it offers. 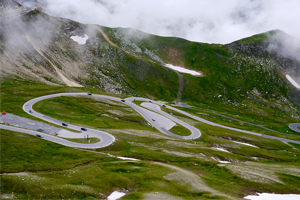 The road leads to the Kaiser Franz Josephs Höhe Visitor Centre overlooking the Grossglockner, the highest mountain in Austria. Note, the road is open starting from May till the end of October. This is a small village located in the Salzkammergut region which is famous for its salt production. As salt has always been an indispensable food seasoning, the village is proud to have a long history of wealth and importance. Charming and romantic, this baroque village has much to offer being a must-see item on your itinerary. 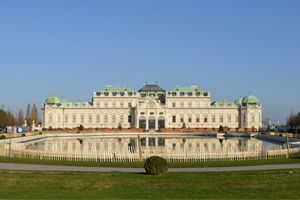 Dating back to the late 17th century, the Belvedere consists of several majestic palaces and an orangery. All of them are set in a Baroque park captivating with its beauty. The Belvedere looks splendid both during the day being lit by the sun and at night when it is all lit up by the colourful lights emphasising its beauty. Graz is known as the city of students, having six universities with up to 50 thousand students. Being the second largest city in Austria, Graz has one of the best preserved old towns in Europe. Be sure to see the Graz panorama which is beyond beautiful with its red roofs, noble museum roofs and the spirit of medieval times still remaining in its buildings. 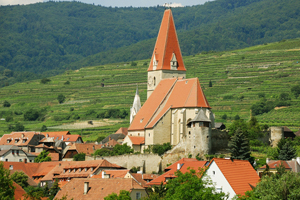 Wachau Valley attracts thousands of tourists with its green liveliness and compelling landscapes. The Danube River running through it and nearly 500 historic monuments situated within it makes is a great choice for tourists. The city is best known as the birthplace of Mozart. Walking down its old streets that inspired the great genius feels inspiring in itself. Add medieval fortresses, Alpine scenery and picturesque old town and you get one more Austrian attraction that cannot be missed. Plan your next trip to Austria with this list in mind and you’ll guarantee yourself an unforgettable vacation. Travel safe and get lifelong memories!